You’ve undoubtedly heard about the recent outbreak of Canine Influenza in Chicago and other parts of the Midwest. So far, no cases have been reported in New York State, and we are hoping it stays that way! As you can probably imagine, our doctors have been getting tons of questions lately about Canine Influenza, so we decided to share what we know at this point. 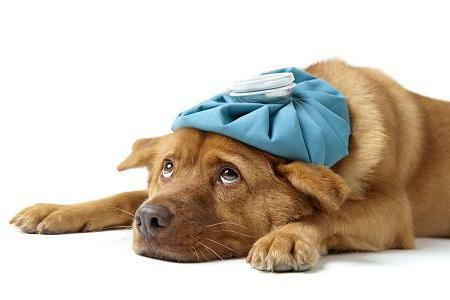 Just like the flu we humans dread every year, Canine Influenza is caused by a virus. How is the Canine Influenza virus spread? Yes and no. We do carry an influenza vaccine that helps protect against the most common strain, H3N8. The strain that has caused so many dogs to become sick in the Midwest is H3N2. This is the first time this strain has been seen in North America. It is believed to have come from Asia. Unfortunately, our Influenza vaccine is not likely to be effective against the new strain. Can humans get this flu? This one is easy. No, humans are not susceptible to becoming infected by this virus. The H3N2 flu strain has been reported to cause respiratory illness in cats, but this has NOT yet occurred in the U.S. Flu outbreaks are more commonly seen in areas where large groups of dogs are in close contact (i.e. boarding kennels, day care, dog parks, grooming facilities and shelters). These areas should be avoided if a case or outbreak of influenza is reported. We will do our best to stay on top of this and notify you if we hear of any reported cases. In the meantime, avoid exposing your dog to any obviously sick dogs. Wash your hands after handling any dog. Call us if your dog shows any signs of illness.